This polo delivers an exceptional level of style and comfort. 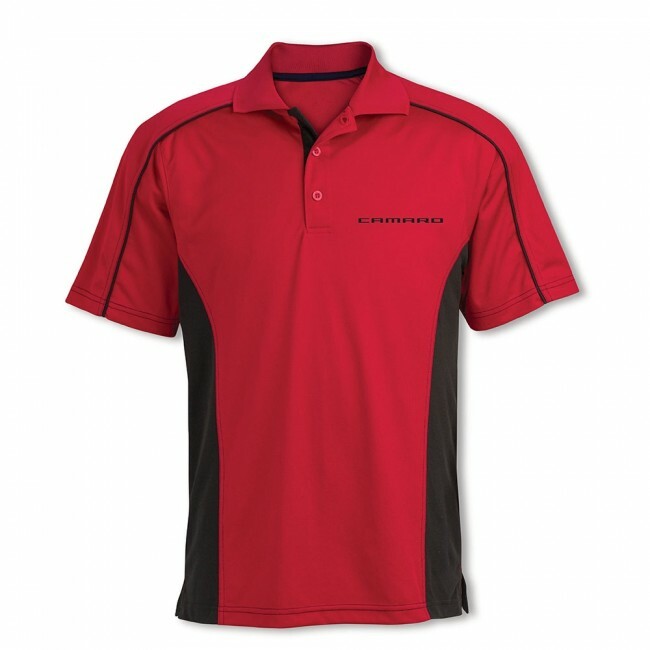 Featuring a flat knit collar, contrast piping, colorblocked side inserts and a care-free moisture-wicking polyester with antimicrobial and UV protection. Camaro signature embroidered on left chest. 100% polyester. Imported. Camaro Glass Beverage Set | 20 oz.